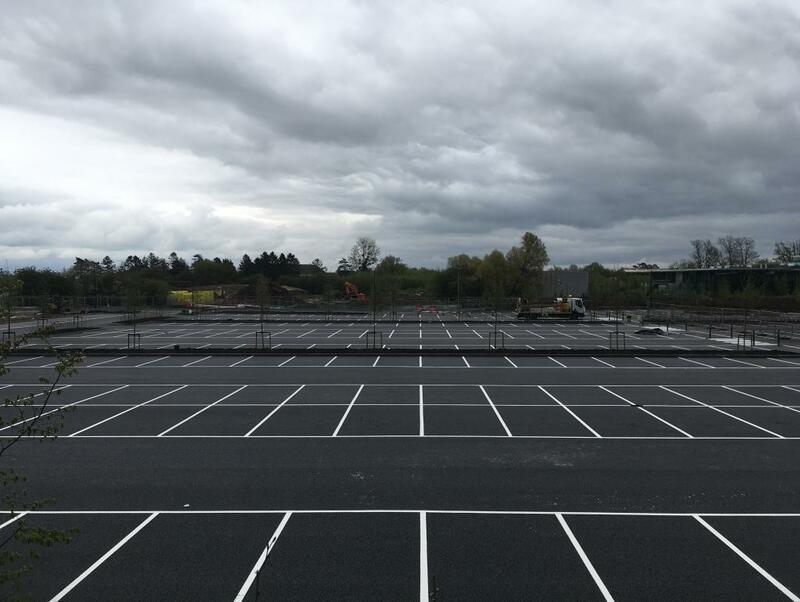 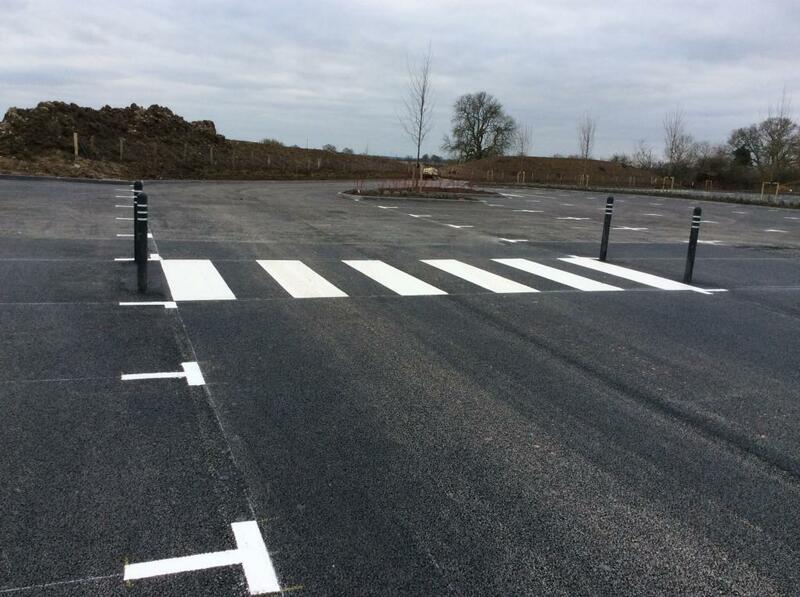 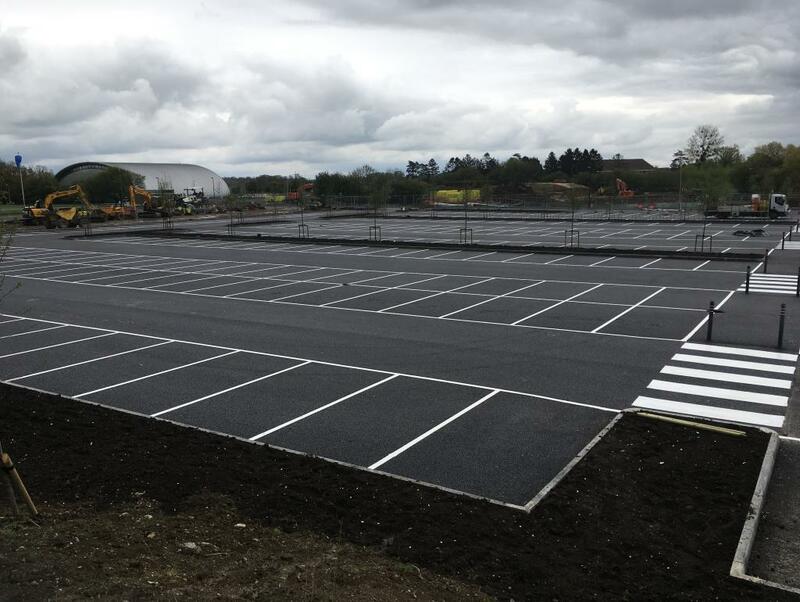 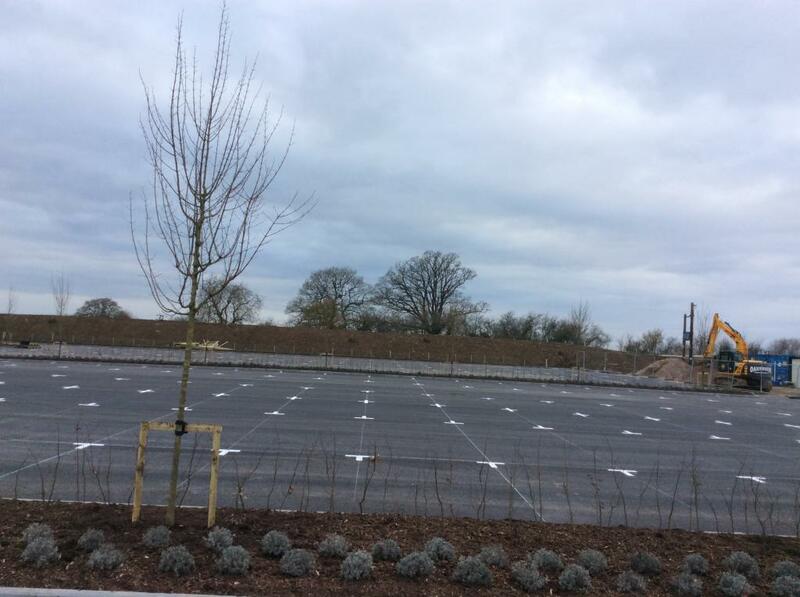 Working on behalf of a major contractor, one of our South West based car park marking crews were despatched to Wiltshire to provide a large variety of car park line markings for a major UK technology company. 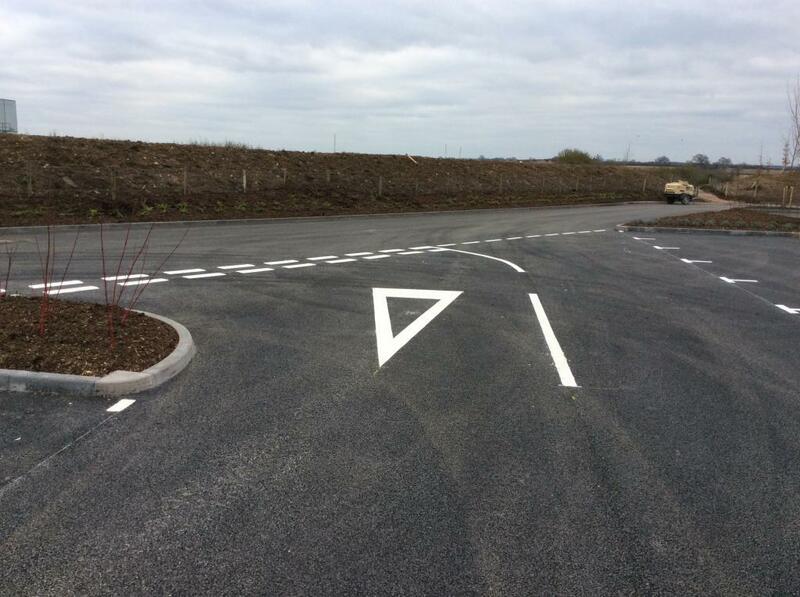 The firm, which is a well-known UK manufacturer of household appliances, is based in Malmesbury. 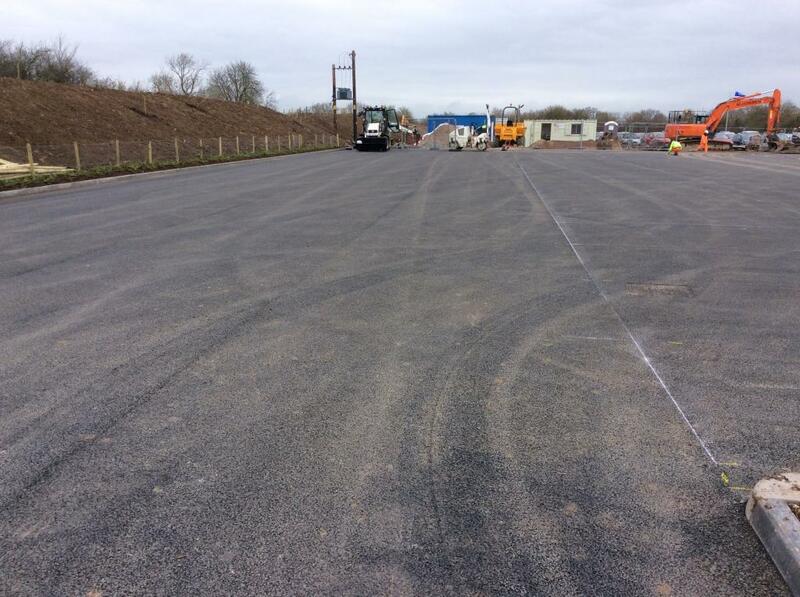 Working on a freshly surfaced area the team worked over several visits to provide a variety of line markings for this car park used by the hundreds of employees based at the site. 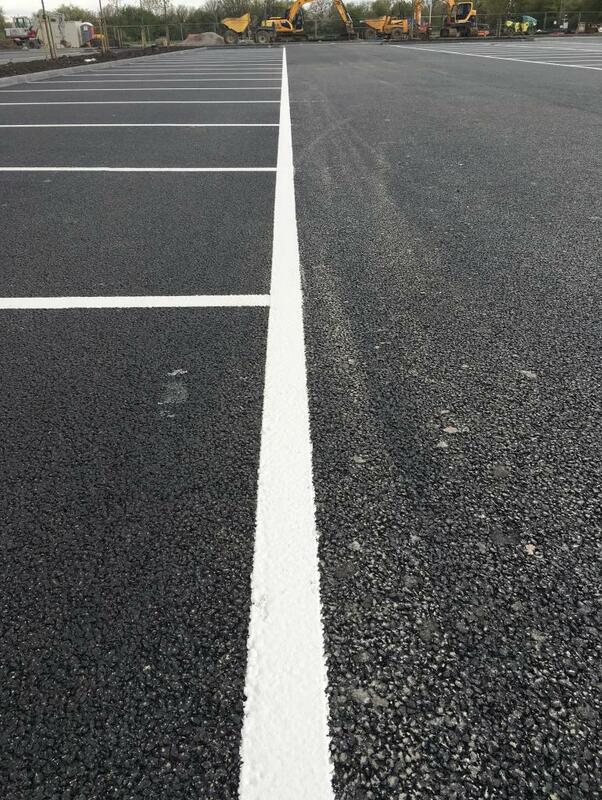 Markings were provided in hot-applied white thermoplastic. 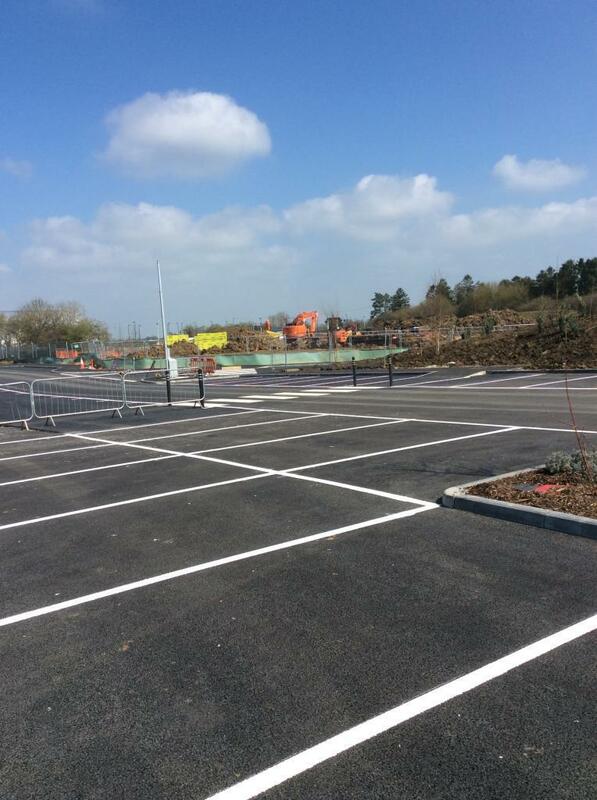 Work carried out April 2018 in Malmesbury.